Duggar Family Blog: Duggar Updates | Duggar Pictures | Jim Bob and Michelle | Counting On | 19 Kids: G'Day Mate! As most of you know, Jim Bob and Michelle Duggar and the majority of their children are currently in Australia. Everyone but the married couples and John-David was able to go along. The Duggars also took their nephew Tyler and a couple friends with them. 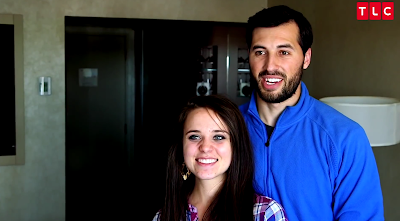 In honor of their trip across the world, we're sharing a throwback video from Jinger and Jeremy's Australian honeymoon. Please never say gday mate again. I have never ever heard anyone say that in 32yrs in australia. That's a bit mean and unnecessary. I'm born and bred in Australia and I've heard g'day mate lots of times, most frequently from men aged 20+ greeting each other. Don’t be so offended. I’m of Irish descent and no one says, “ top of the morning to you” but come St Patrick’s Day that’s what you will hear and it’s fine. Maybe you didn’t mean your post to come off sounding so harsh but it did. Anon @ 1:35 I am Irish and we don't care who says 'top o the mornin, however you will receive an eye roll and will be thought of as an ignorant eejit (another Irish phrase) if you do say it, were just too polite to say anything! Is Josiah courting Lauren Swanson??? If so congrats! Another Duggar wedding and another baby anouncment by the end of the year! I think it's just about past the courtship phase, if not already into engagement. Probably keeping it quiet because of the whole Marjorie thing. My friend in Arkansas saw Josiah out for a bite with his parents and a young lady "friend" around 2 months ago! My friend was too shy to ask for a picture so no evidence, but I believe her 100% She's a Christian woman who does not lie! Safe travels and I'm thinking they have been influenced by those bad movies that came out in the States years ago. I am an Aussie and I say it a lot...not sure what rock you are living under but yeah....it is common. Wow, good for John David to be home alone in that big house. I wonder what he will do all alone. He's not alone. Grandma Mary didn't go. If, indeed, he is home alone!!! If the Duggar home is where he still lives..doubtful! I'm an Aussie @Amaris and I've definitely heard it! I hear plenty of people say G'Day...say it all you want Duggar Family. Welcome to Australia. We hope you have a wonderful time in our country. Say g'day mate as much as you like. While the typical everyday Aussie doesn't use this phrase, it's iconic to Australia and we all now what it means. Like a lot of Aussie slang you tend to hear it more in the outback than in the cities. I have heaps! Guess it depends on where you are. Also, I appreciate their gesture of using our slang. I think the Last Commenter has no sense of humor! Nobody was being a smart aleck about Australia! Does Jeremy button the top collar button of his shirts to be modest or because he thinks it's a signature style? Either way I find it a no go! Seriously?!! Would you want someone that you don't know, and who will not identify himself/herself, to critic the way that you dress?!?! This is just absurd!! An Anonymous complaining that another Anonymous won't identify themselves. Now I've seen everything. Is that anyone's business? They haven't asked you to pay for it. just because they are a large family does not mean that they must explain every event and how they pay for it. If Tyler has been adopted, why is he being referred to as their nephew & singled out when they said everyone but the married couples & John David was able to go??? He is under legal guardianship, not adopted. Easy explanation - he hasn't been adopted.